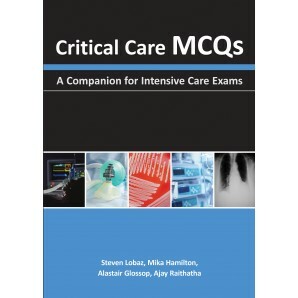 Critical Care MCQs is the perfect companion for anyone sitting exams in intensive care, as a training resource or just wanting to improve their knowledge in this constantly developing area of medical practice. Written by critical care doctors with experience of UK and European examination formats, this book leads the reader through 450 true/false questions with referenced explanations, covering core syllabus topics and key influential papers to date. A detailed list of further resources and recommendations relevant to critical care revision is also provided to enable readers to further their knowledge and understanding. It is hoped that this book will prove invaluable for preparation and success in upcoming intensive care exams for both candidates and trainers. This book would be useful for not only candidates sitting the UK Final Fellowship of Intensive Care Medicine (FFICM) and European Diploma of Intensive Care (EDIC) exams, but also the Indian Diploma in Critical Care Medicine (IDCCM), the Diploma of the Irish Board of Intensive Care Medicine (DIBICM), the Australia and New Zealand Fellowship of the College of Intensive Care Medicine (CICM), American Board and any other country-related intensive care exams.